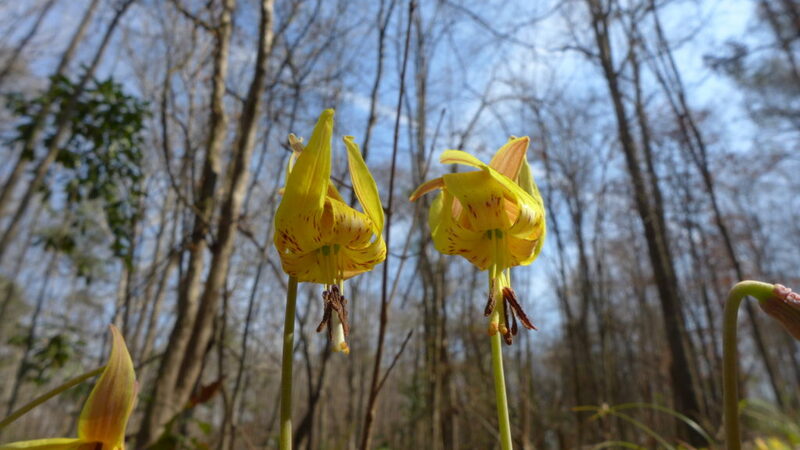 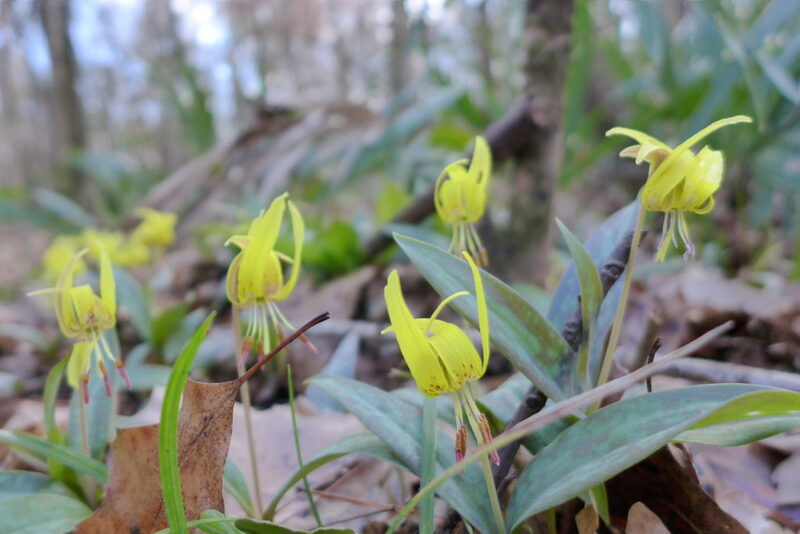 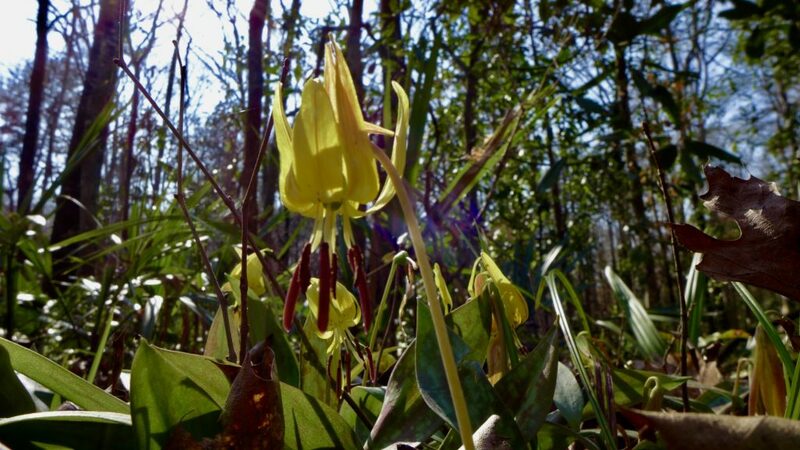 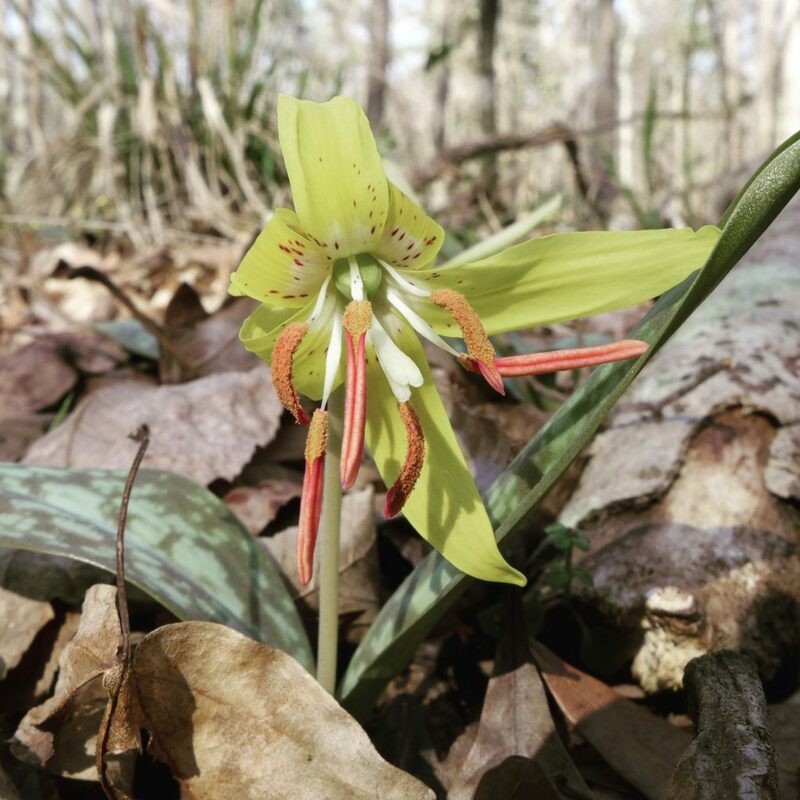 On Tuesday February 6th I visited The Wolf Creek Trout Lily Preserve in Whigham Georgia. 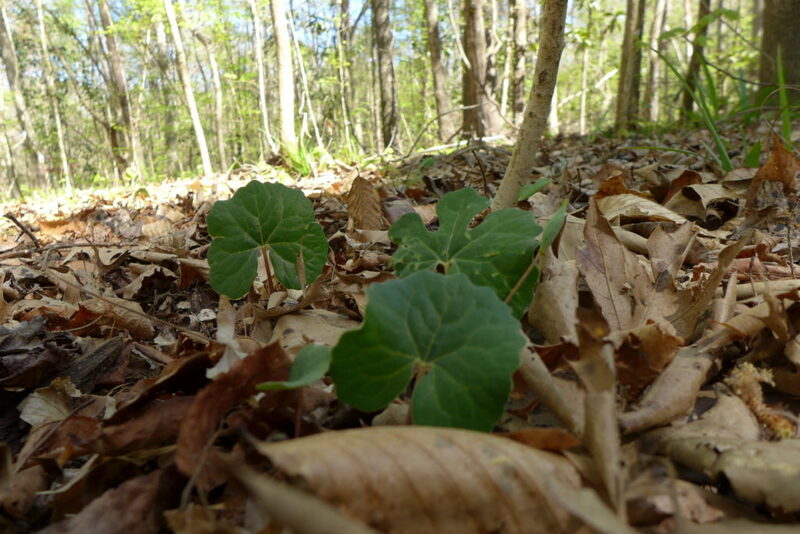 I arrived a little after 2 pm and it was sunny, dry and 75 degrees F. I was also the only visitor all afternoon and I spent two hours slowly walking the well marked trails taking pictures. 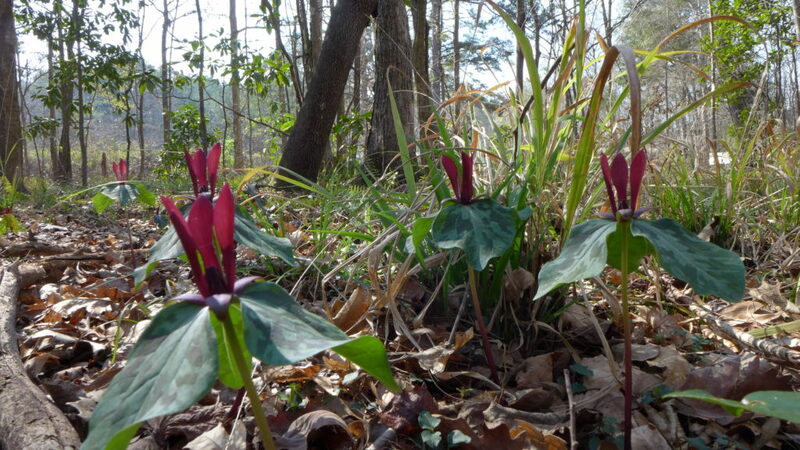 Trillium maculatum blooming away. 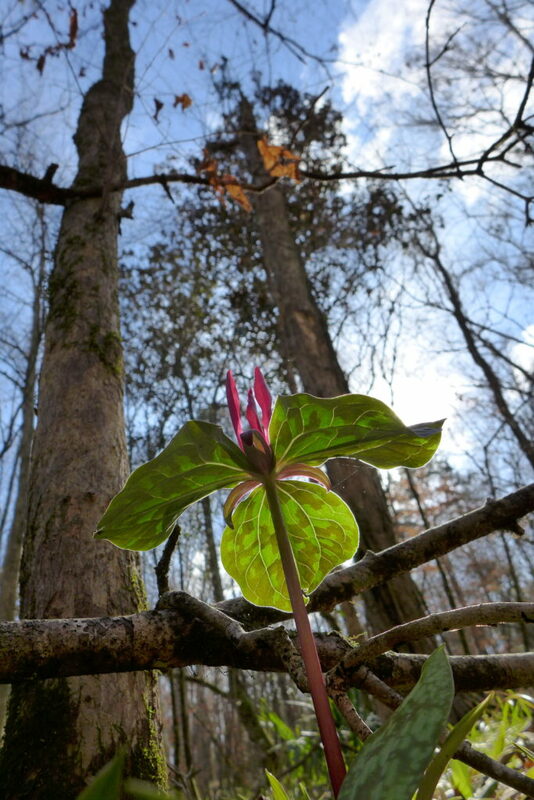 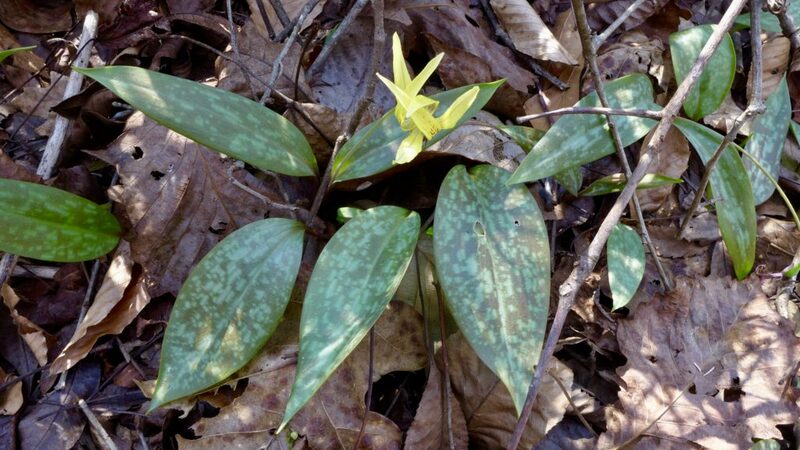 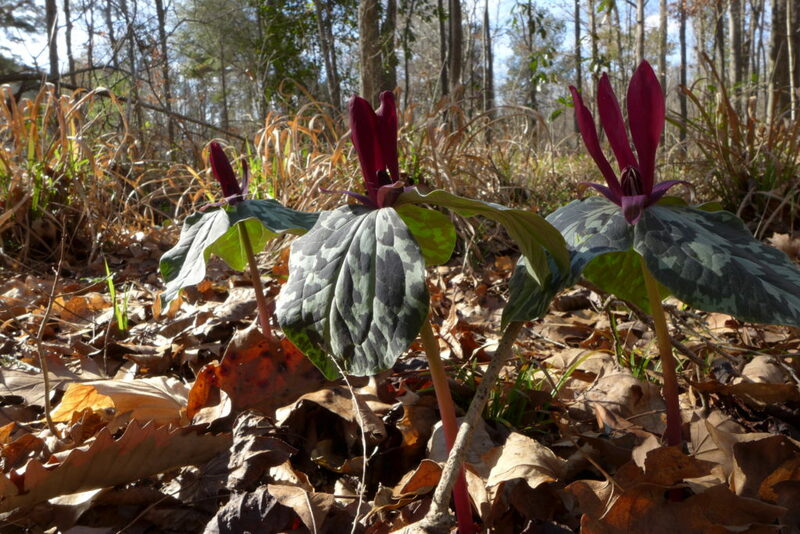 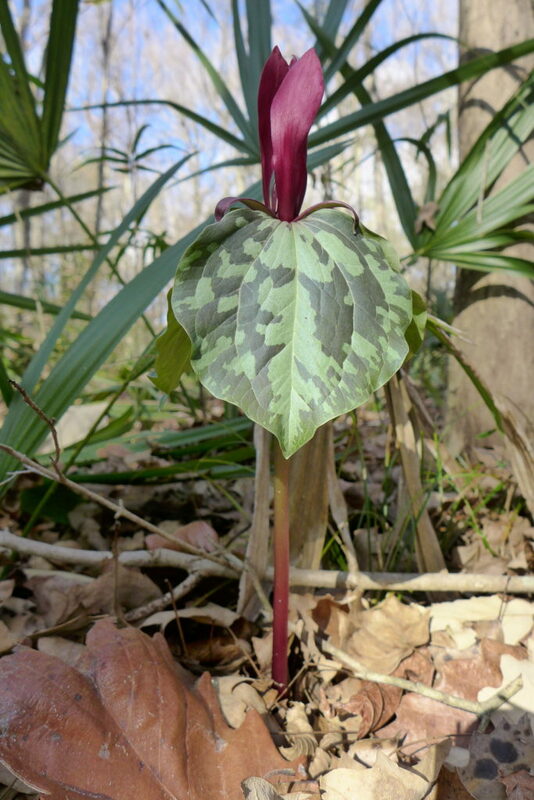 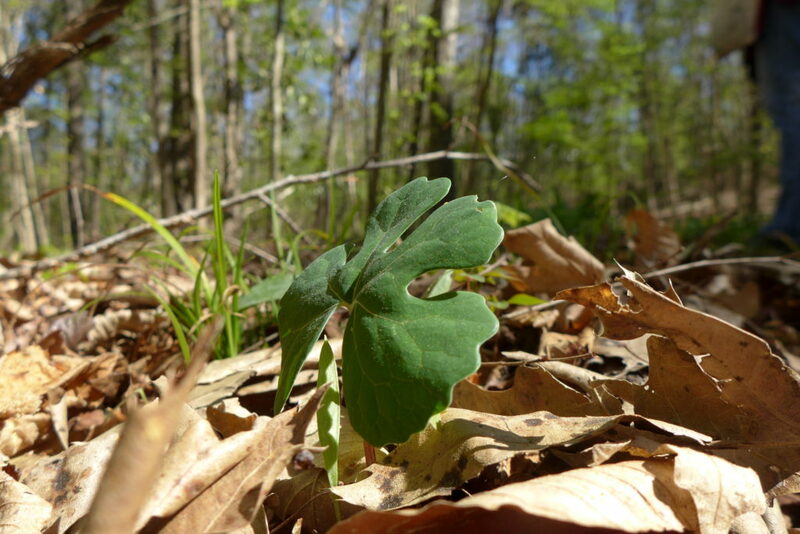 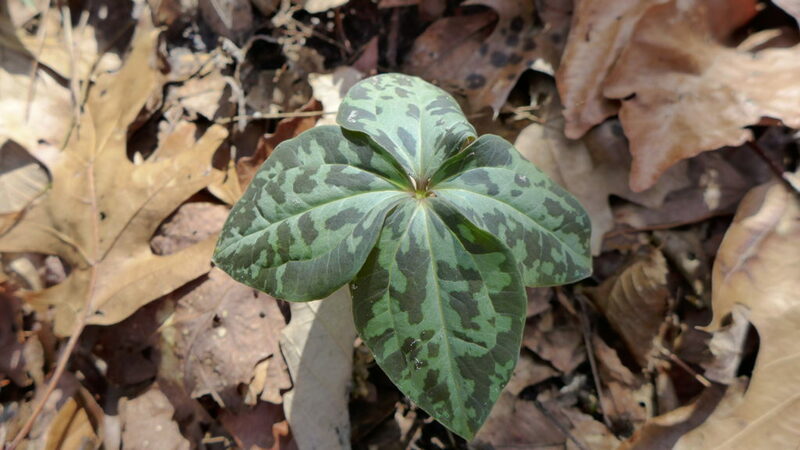 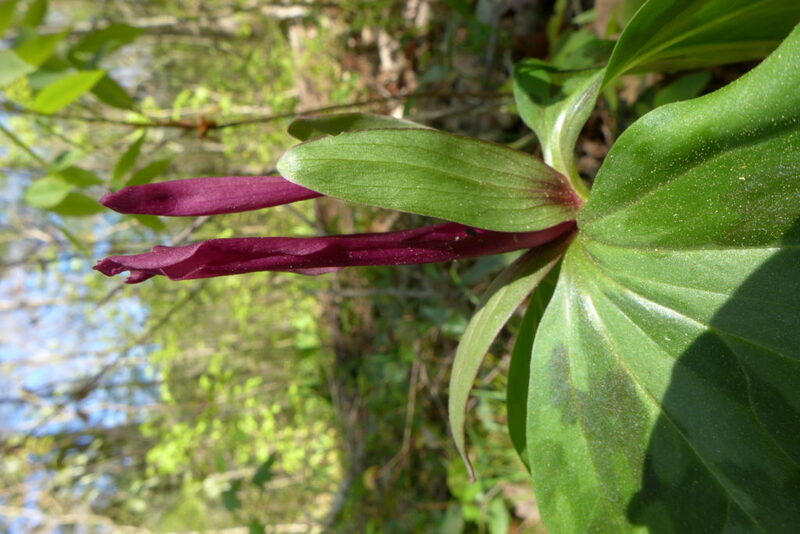 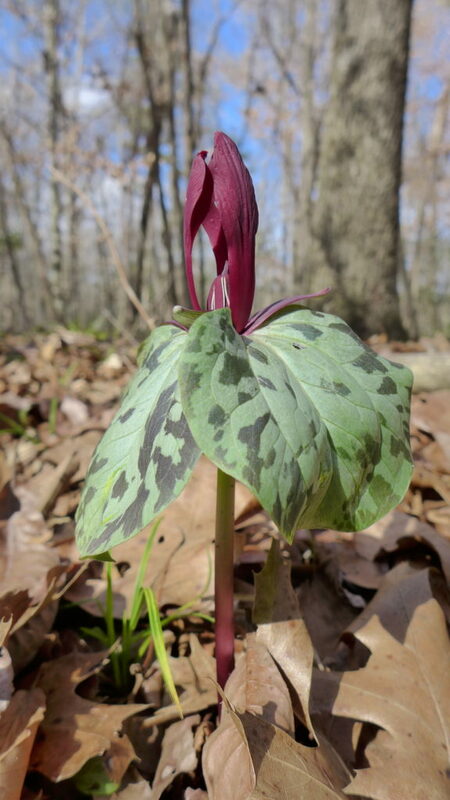 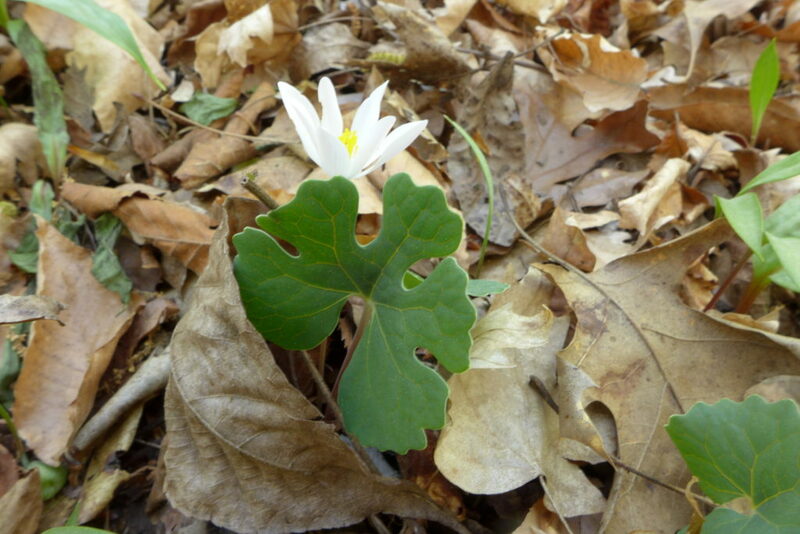 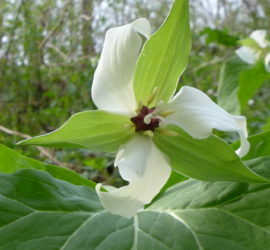 below is a rare 4 leaved Trillium maculatum The volunteers did a great job marking the trails and creating signage. 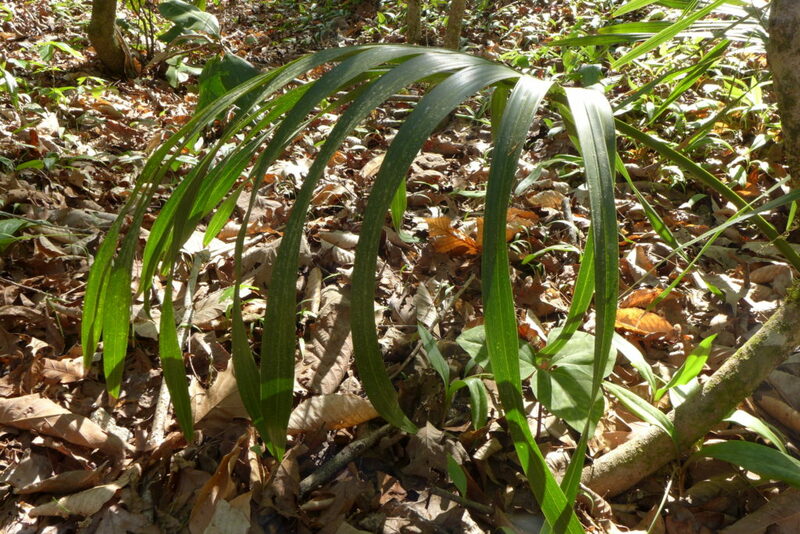 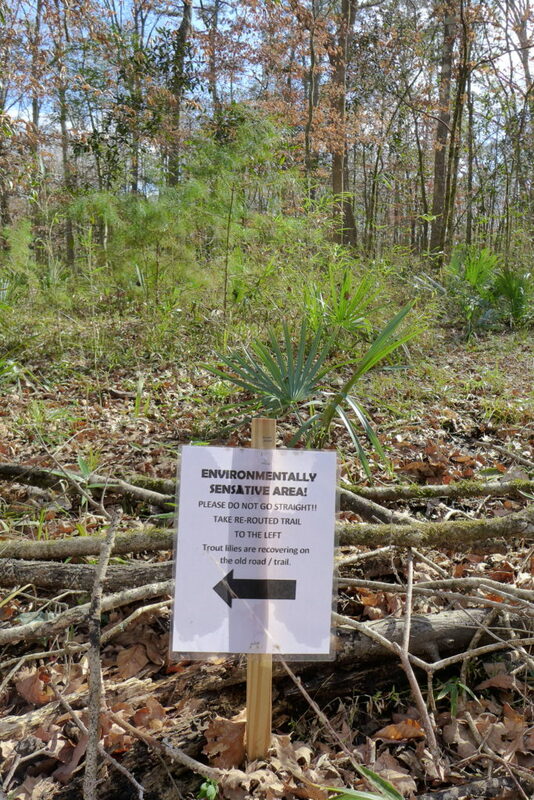 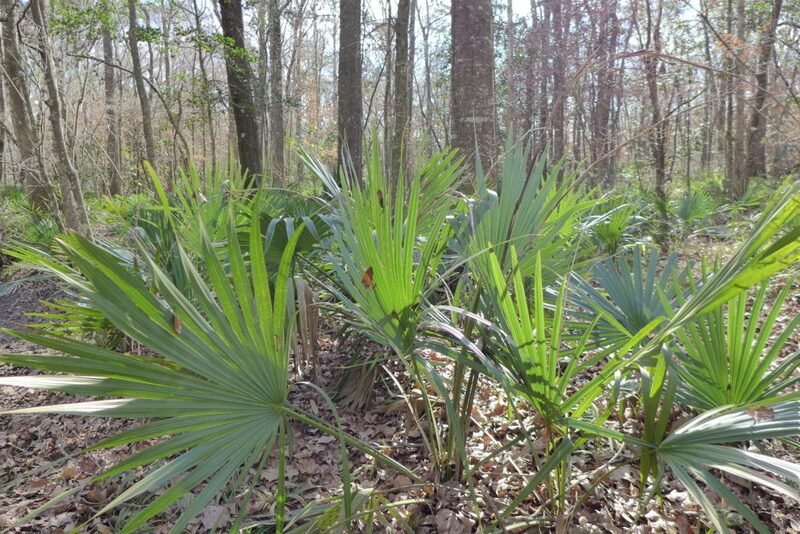 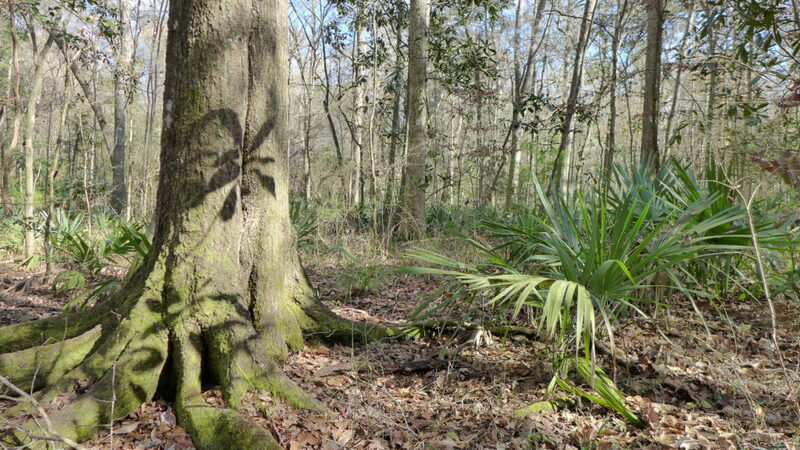 Many of the signs described the plants and trees. 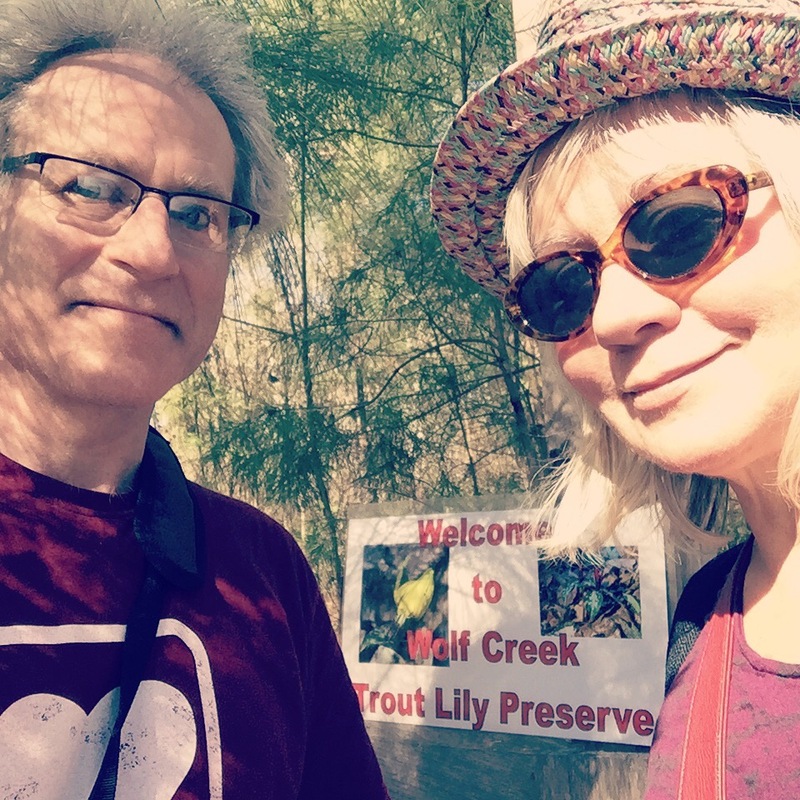 We visited the Preserve around the time of its peak bloom and explored one of the newer loop trails that went around the northern part of the preserve, closer to highway 84. 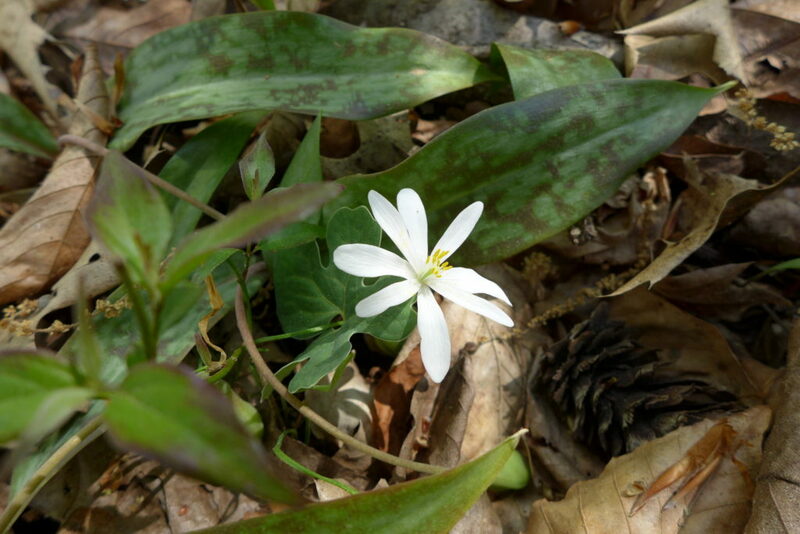 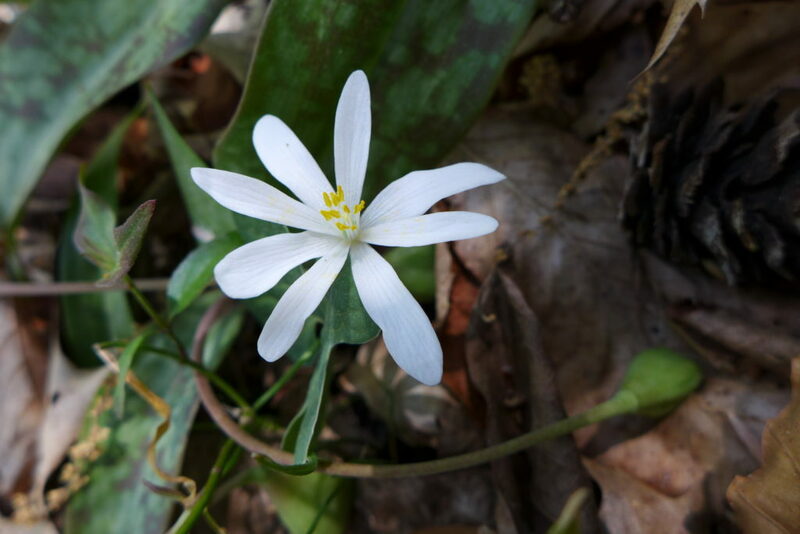 We made a special trip to see the Sanguinaria canadensis at the Preserve after the Trout Lily was for the most part done blooming. 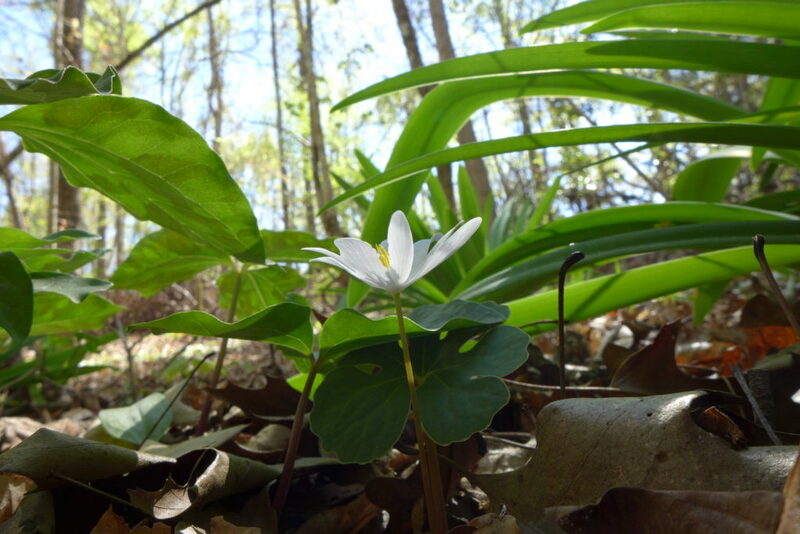 Click on any picture you want to see to get the best presentation. 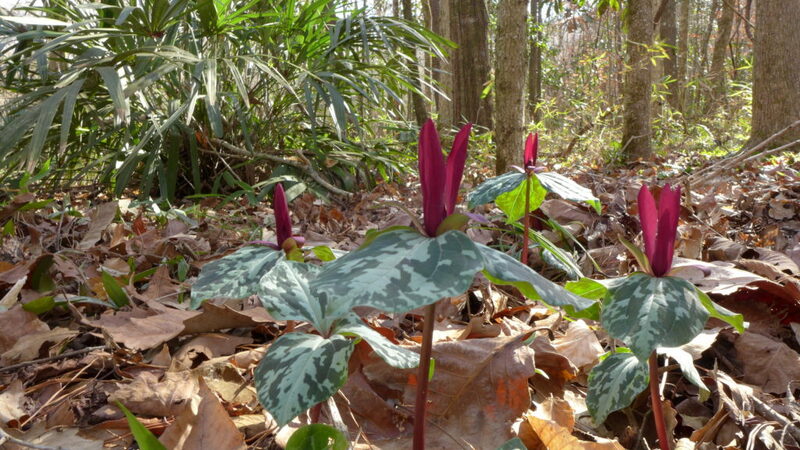 Not easy to find. 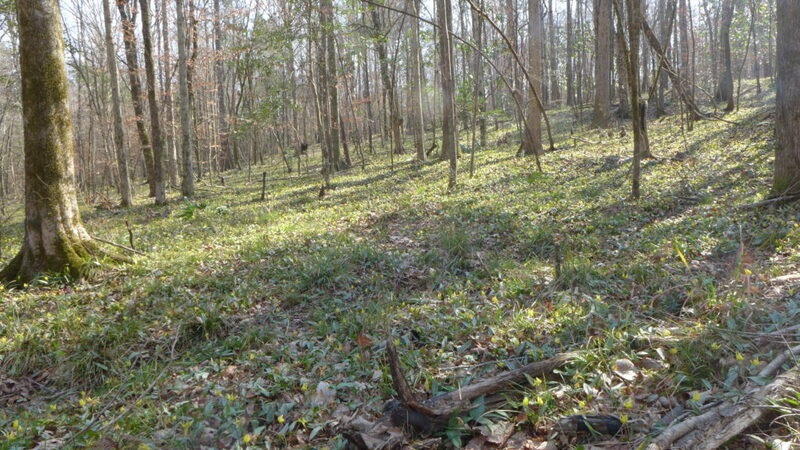 We had to look carefully. 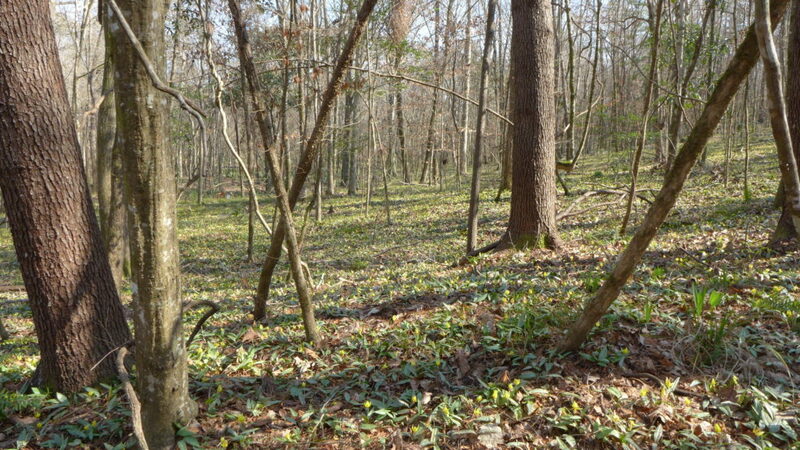 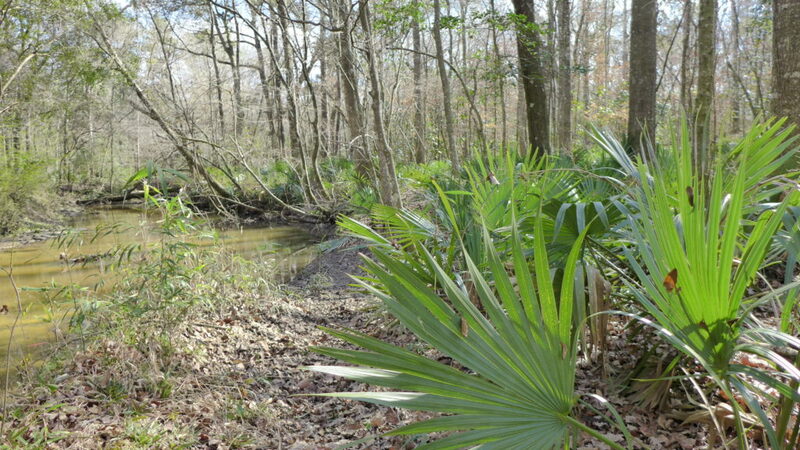 On the upper trail that leads slowly down to the floodplain, but very close to the beginning of it. 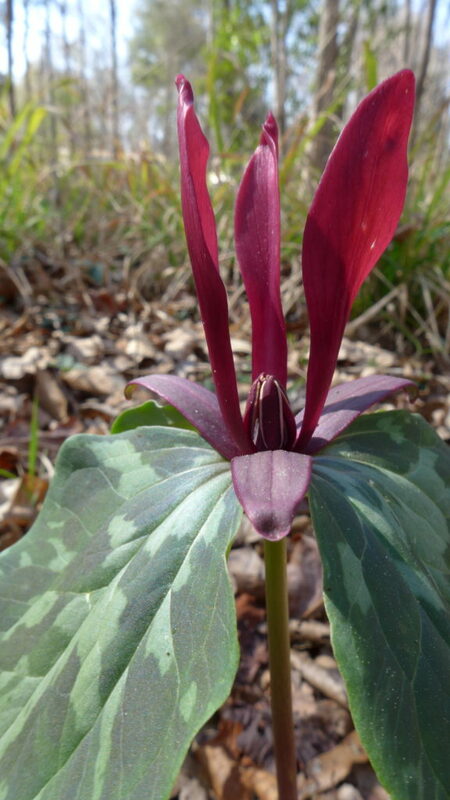 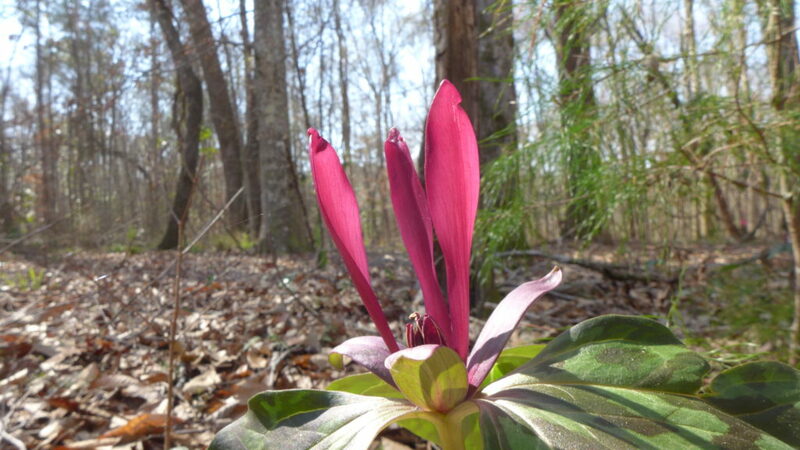 The Trillium maculatum was still going! 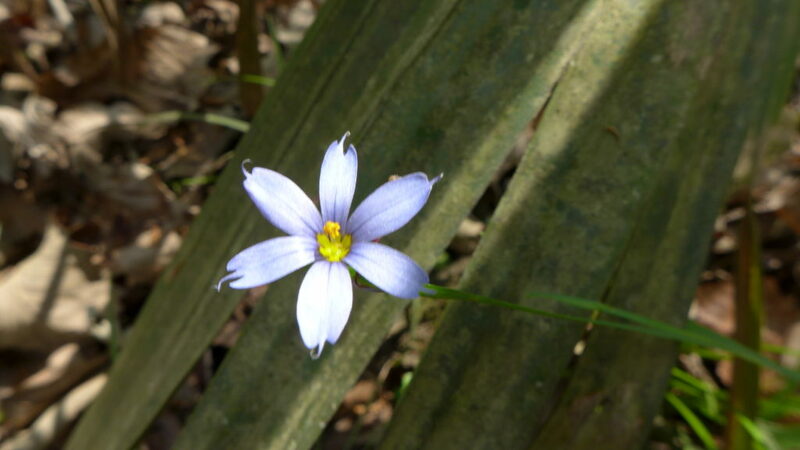 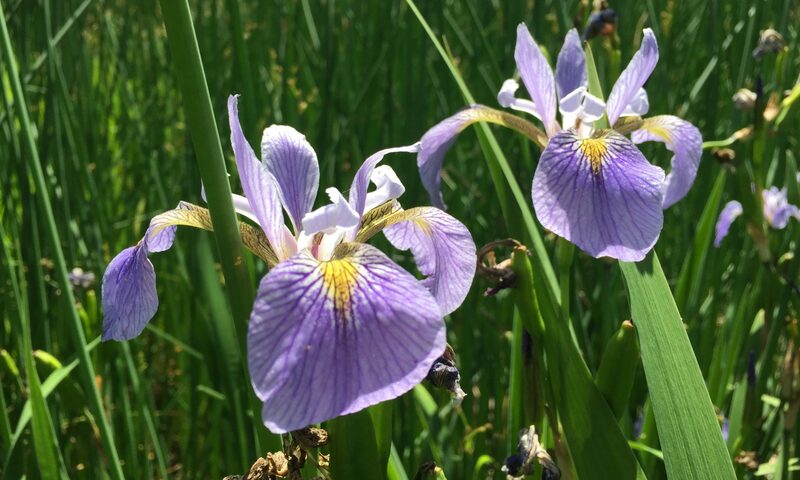 And we saw The Blue eyed grass!